Diplomats of the zodiac, Libra people always have a good word for those around and are surprisingly resilient when they set their minds on a particular achievement. Prepare to read everything you’ll ever need to know about their personality, and of course, keep up with the daily horoscope. This Thursday is going to be a great time to make amends and to bring some truth in your life. You might have done some wrong lately and this might trouble you so take advantage of this time to ease your heart and try to repair whatever you feel sorry for. There are high chances that people around you are going to forgive you today. You can also read this Libra Daily Horoscope. These natives are for a good reason considered the diplomats of the zodiac. They are charming, relaxed and great with words. Other Libra traits for those born between September 23 and October 22 include patience and reliability. Libras like to be cared for in exchange for their selflessness and also love to delight with sweets from time to time. They are drawn towards people that are as stable and relaxed in their own lives as they are. On the contrary, Libra people hate dislike mediocrity and not being listened to. They try to bypass any situations in which they would be in doubt and situations when they have to deal with vain and shallow people. It is quite easy to communicate with a Libra, as they are genuinely opened and interested persons. The planet Venus has a great influence on their stability, love for beauty and loyal spirit. Being an air sign, Libra is volatile, full of knowledge and in continuous movement. This zodiac sign is ruled by the seventh house which is the symbol of selflessness and care for others. A true Libra is an introspective being and enjoys meditation and relaxation techniques. Libra positive traits: These people are charming and seem to be optimistic all the time. The biggest strength of a Libra is represented by the fact that not only they find the right solution in no time, but it is also the solution that takes in consideration everyone involved. Some other Libra qualities are pleasance and their spirit of innovation. These people are very progressive and focused and although they are not so driven to save the world, they sure make an impact on the lives of the people around them. A successful Libra knows how to make use of their originality and hard work to complete any task with an incredible calm as they always seem to find a practical solution to make their work faster and easier. Libra negative traits: One of the things Libra need to understand is that they sometimes need to take time for themselves and stop worrying about the problems of others. They are born perfectionists and this can damage their self esteem, unless they fall in the other extreme and become vain and sarcastic. Sometimes they tend to act superficial and skeptic when others come with ideas or plans they haven’t thought of. Libra weaknesses include timidity and over calculation. Their life can turn into a long routine unless they take some risks and have some fun. Despite their fame of being the most understanding and considerate people, they are sometimes intolerant, fastidious and over controlling. Libra individuals can make their life better if they learn to not be so tolerant and acceptable with everyone as some people might disappoint them on the way. Not everyone carries the best intentions. The dependable and romantic Libras seek for a lifetime partner to whom they can commit and with whom they can build an accomplished relationship. They are stimulated by enthusiastic and imaginative people but they couldn’t respect anyone else more than those who keep their feet on the ground. Libra lovers remain young at heart and mind and carry on being just as affectionate as they were the very first day. By showing you are trustworthy and by remaining constant, you are sure to conquer their hearts. A single Libra is completely focused on their personal development and is in no way in a hurry to enter a relationship if they don’t feel it’s the right thing to do. When in a couple and decided to commit you can rest assured they will do it for the long run. Social and well-behaved Libra people are attracted to the other two air signs: Gemini and Aquarius. These three signs combine wits, courage and a sense of stability as no other signs can. Naturally, any of these unions take advantage of what life has to offer and make the best, even out of the most treacherous situations. With Geminis they seem to share the same sense of cooperation and diplomacy, while Aquarians entice them with their ideas and the way they build their lives. Libra’s compatibilities are straight forward, bring in curious and creative partners and throw away jealous and controlling people. Libras need confidence from their significant other but they also need someone who they can be proud with when in the company of other people. They may have a hard time with Scorpios as it seems that although they form a passionate union, their needs are most times contradictory so when it comes to long term relationships, sparks are quick to ignite. Health has always been a serious matter for Libra people, even as children, these natives tend to take greater care for themselves, than their peers. They acknowledge the need to keep their minds and bodies healthy and prefer to let worries for real and not imaginary situations. The Libra zodiac sign rules the kidneys and adrenal glands. This means that these people are inclined to suffer from ailments concerning these organs more than others. Do expect to meet Libra in a white collar work place or in a humanitarian work force as this is where they feel they can show their support to other people. These natives are great planners and even greater negotiators with an extended consideration of all the parties involved. 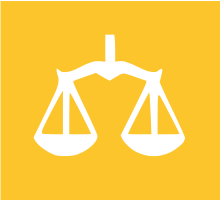 Libra people have a professional attitude towards giving advice and counselling others and will always be supportive, especially of those marginalized by the society. With a great spirit of observation and perception, these natives will study until late in life and will always feel the need to improve themselves through accumulation of knowledge. They are also considerate team players and don’t need material gain to feel valuable as humans. Creating a family plays an important role in the life of Libra. These natives are known to function better in partnerships; therefore this is sure to apply to them wanting a family of their own. They make loving and understanding parents. Libra children are obedient and composed. They always seem a lot older because of their mature behavior. Libra teenagers don’t really go through a stormy rebellion although they do develop opinions of their own and are eager to share them to others. The Libra individual is dependent of his partner and children and the world seems to revolve around these traditional values. Despite their calm and composed appearance, Libras know how to relax and have a good time when in the right company. These are one of the most reliable but also adventurous friends someone can have. They select their friends carefully but are quite happy when surrounded with people from all walks of life in social gatherings. When it comes to supporting their friends, they go well beyond their normal means. They are especially good at advice and pep talk although they don’t shy away from the action part either. They tend to keep friends separate from family although they sometimes lose track of those boundaries when they encounter someone they are very enthusiastic about. The Libra women are refined and attractive. They exert certain magnetism in their calm and composed behavior. They are firm and straightforward but also very diplomatic. Underneath that studied appearance Miss Libra is sensible, naïve and romantic. Her trustfulness might have her disappointed if she lets her guard down in front of the wrong persons. Libras want to live a harmonious and stable life. The Libra men are elegant and balanced. Complete gentlemen, these natives are trustworthy and dependable. They make great business partners but also family men. The only thing these natives should be careful about is putting the needs of others ahead of themselves too often. They are refined people whom search the beauty around them. They are calm but firm and win the respect and recognition of others through their entire behavior. People born during the period when the Sun goes through the section of Libra in the zodiac, between September 23rd and October 22nd, are considered to be in the Libra zodiac sign. There are three Libra decans, each with their own influence on the personality of those born during them. Birthday dates ranging from September 23rd to October 2nd are placed in the first decan that is governed by the planet Venus. Those born between October 3rd and October 13th belong to the second decan that is under the supervision of the planet Uranus. Libra birth dates ranging from October 14th to October 22nd are placed in the third decan that is influenced by the planet Mercury. Click on your birth day in the calendar below to read a complete description of your Libra personality! Does the information on Libra Zodiac Sign describe you?